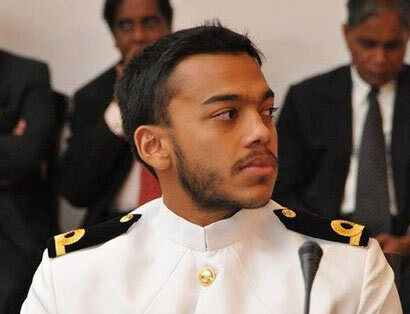 Lieutenant Yoshitha Rajapaksa, son of former President Mahinda Rajapaksa has been assigned as a security officer of his father’s security team with effect from February 12, Defense Ministry sources said. It had been previously reported that in the wake of his father’s defeat at the January 8 Presidential Election, Yoshisha Rajapaksa had requested to be allowed to join the security team assigned to the former President. He is currently on three months leave of absence. However, an investigation has been launched probe into how Yoshitha joined the Navy, on his promotions in response to a complaint made by the Janantha Vimukthi Peramuna (JVP).